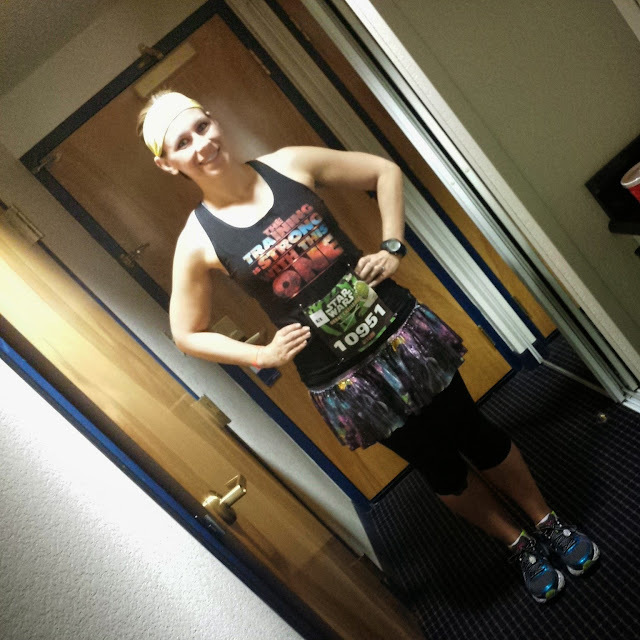 Sunday, January 18th was the Inaugural Star Wars Half Marathon and Part 2 of the Inaugural Rebel Challenge. If you missed out on Part 1, check it out HERE. If you read it, you know that I was sick for this race weekend. My hubby and I ended up shortening our day at Disneyland on Saturday and getting back to the hotel early. A quick trip to Target for every kind of medicine they had, and I was out cold by 6 pm. With that, though, the 3:30 am wake-up call didn’t sting as much as it usually does. For maybe the first time ever, I woke up with pretty good energy. Unfortunately, I was still sick, so I was sure to pack plenty of cough drops and tissues for the race. We did our usual morning routine and caught the bus to Disneyland. We knew the starting area from the day before, and definitely did not get there too early or too late. Just enough time to hit up my favorite bathroom (the Lego bathroom) and my 2 port-o-potties (since I checked a bag, we had 2 chances to go). This morning, we split up because I had finally got a corral A bib!!! I’m not a fast runner, so it really was luck, but there I was, lined up with all the fast folks. Let me tell you…you get SPOILED in that corral! It makes me want to train even harder to crush my PR...just for the corral placement! Corral A was off swiftly at 5:30 am. I was using a 3/1 run/walk/run formula. Actually, I got to talk a little to Jeff Galloway at the start about how his method has really helped me after surgery. He and his wife, Barbara, are always so kind! Corral A perks! Oh, and of course there was a guy in a FULL ON Wookie costume! Don’t know how he did it, but later that morning I did see him, and he finished, still in costume. Last selfie before the start! The first bit was similar to the previous morning, but it took you down a little different path through the parks. Still no castle, and still very different from the September race. You had a good mile + in before entering the parks. Some of the effects and details were the same as the previous day. This morning, Darth was at Star Tours, and the line was still huge! I somewhat raced this one, trying to get a decent time, so no stops, no pictures. My pace was great and there were no spots that were overcrowded. Corral A perks! After Disneyland and DCA you head out onto the streets. Having done the Disneyland Half many times, these street miles were so much better!!!!! It was flat and the roads were in better condition. There were new things to look at, and they even brought you down to this cute Main Street area of Garden Grove. Oh, and I got to run/walk for a while with Sean Astin. Corral A perks! I think my favorite street part was around mile 11-12 when the up and back crossed us with the back of the pack runners. A lot of these folks are first-time half marathoners, some coming back from injury (and I know all about that one), some walkers (which honestly, I think requires more determination than running a half), and all the time with the fear of the balloon ladies in their minds. I loved getting to cheer for them, give tons of high fives, and even see some of my friends from my running team (shout out to the Mickey Milers). It was the perfect boost for me, and I hope it was a boost for some of them too. At around mile 12 the course turns by the convention center and you are back to Disney, finishing in the Downtown Disney area. I was rationing myself—one tissue and one cough drop per mile. It actually worked great, because I ended up running a 2:17 half! This was my fastest time since surgery, and I really felt like I was back. I didn’t let being sick be an excuse. I ran hard, and even had a little fun too. I think the cough drops were the magic bullet. 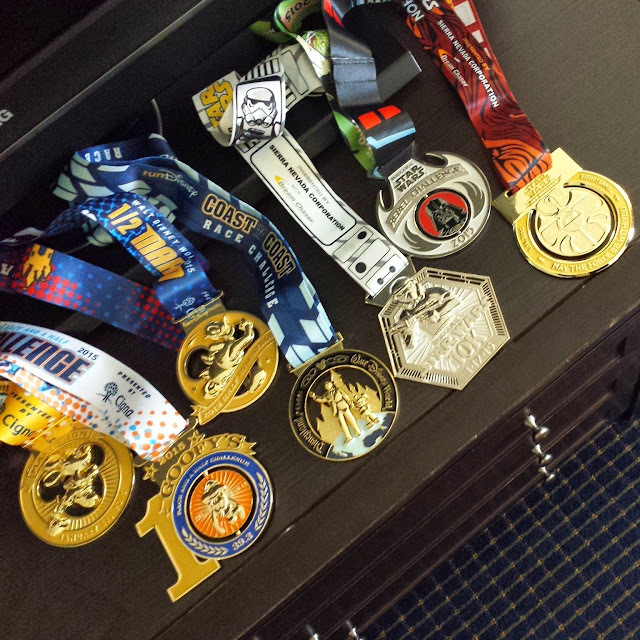 I collected my medals: the half, the challenge, and my coast to coast. Clanking along, I got my food and headed to get my bag and wait for my hubby. The medals were awesome! My 2015 collection was already impressive, and it was only January. I made sure to get my coast to coast picture with the Goofy & Rebel Challenges together. Even being sick, I definitely give this race an A. The only thing, which always happens, was the lack of merchandise for those of us who couldn’t be there on the first day of the expo. This is just the way it is now for runDisney. If you really want something, you have to get there early. My Coast to Coast Within 9 Days! 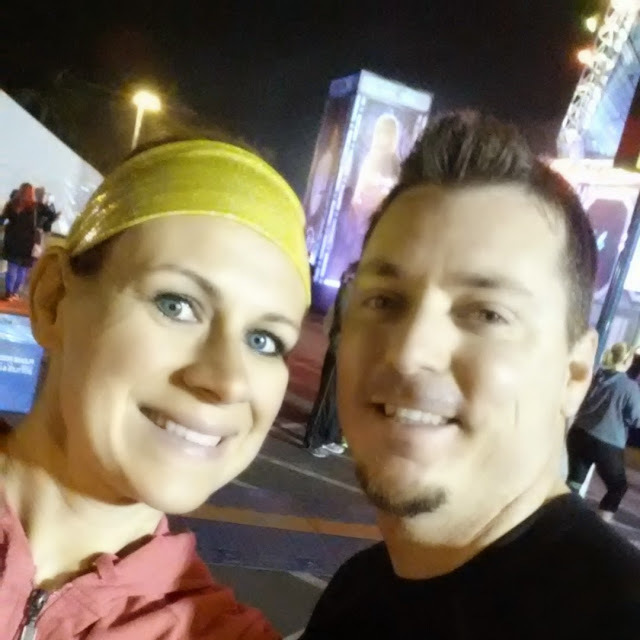 After I met up with the hubs, we headed to our bus to get back to the hotel—EPIC RACE FAIL! This is important for anyone running next year—if you stay on Katella, you can’t get back to your hotel by bus or car until the race is over!!!! This was a total fail on my part!!! I never thought to look at the course map and where our hotel fell on the map. It was too far to walk, and smack in the middle of the last few miles. They let us on the bus, but once on we waited almost 2 hours to get going to the hotel. If I had known, I would have brought our park passes, gotten breakfast, or at least brought warmer clothes. Note for all Disneyland runs: check the course and be sure you can get back to your hotel! Now I know for the future, and so do you! 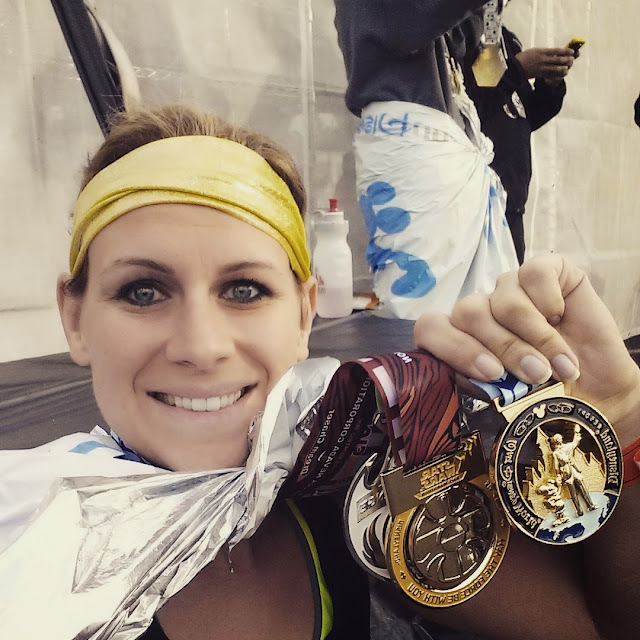 So…are you planning on taking on the Rebel Challenge in 2016? If you ran, how did you do?